both genelle and myself love trying out new products. 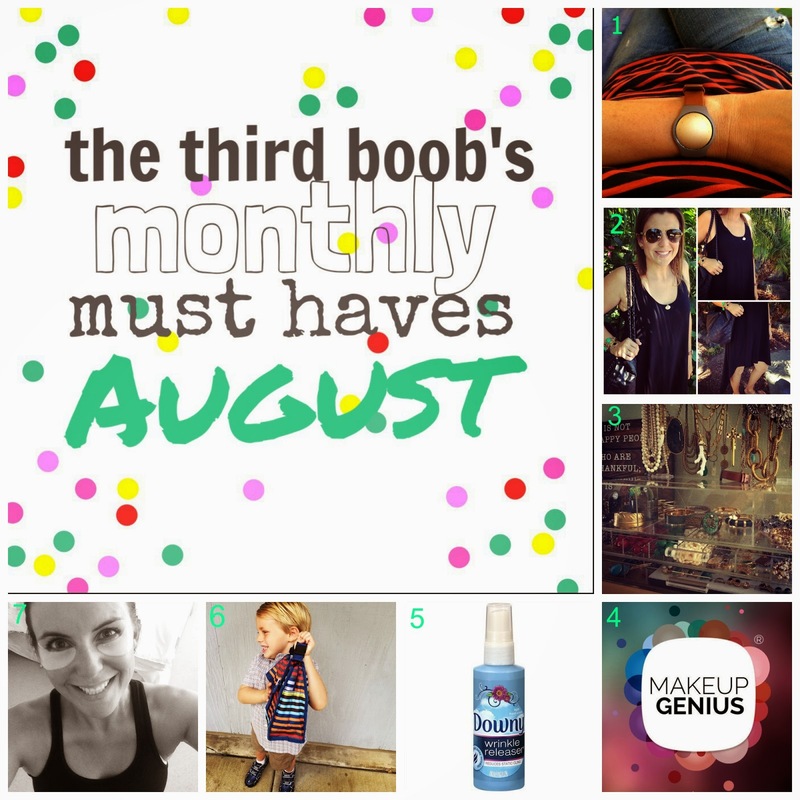 we have decided to start this monthly compilation of a few of our favorite must have items. this month i am taking the lead with my current obsessions i have already been telling all of my friends about and am excited to share with you. i am a health and fitness gadget junkie and i *love* fitness trackers. if there is a fitness tracker made, i probably own it. the problem with most fitness trackers is that they look great when at the gym or running around town in your yoga pants, but are so unfashionable when you are not. one of the things i love most about my misfit shine is that the small, circular device can be worn a multitude of ways; this includes being able to pop it out and inserted it into a leather watch band (as seen above). the shine is functional and fashionable and can be worn in the water. i also love that it uses a watch battery so you don't have to remember to keep charging it every couple of days as you do with most fitness trackers. my favorite feature though is the free app that the shine syncs with on my phone----it includes a sleep tracker and it has been a major eye-opener to my sleep patterns. the misfit shine is awesome. if you end up getting one, let us know and we can link up to compete and encourage each other in our fitness goals. i am a sucker for the splendid brand. i own way more of their clothing than i should admit....but my current obsession is the asymmetrical dress. i am not a person that wears dresses all the time and i now own this dress in every color. that is how wonderful it is. it is comfortable, fashionable and the fabric is such that i can wear it around town with flip flips and then add some jewelry and heels and it transitions seamlessly to night. it's perfection. i love jewelry and when you own a lot of it, like i do, it is hard to find a great box to store it in that is not only fashionable but also functional. glamboxes are truly swoon-worthy and now all of my jewelry is perfectly organized, stored and displayed in a beautiful, custom acrylic masterpiece. they make make-up boxes also that are on my wish list for sure! i am not even sure how to begin describing this, because it is so unique and revolutionary that its really one of those things you have to see with your own eyes. loreal makeup genius is a *free* app that allows you to virtually try on make-up onto your own reflection in real-time. i've tried to explain it to countless people and it's impossible to do it justice---you just need to trust me and download it now and see with your own eyes. you can try on specific products as well as test out amazing looks that have already been put together by beauty experts. 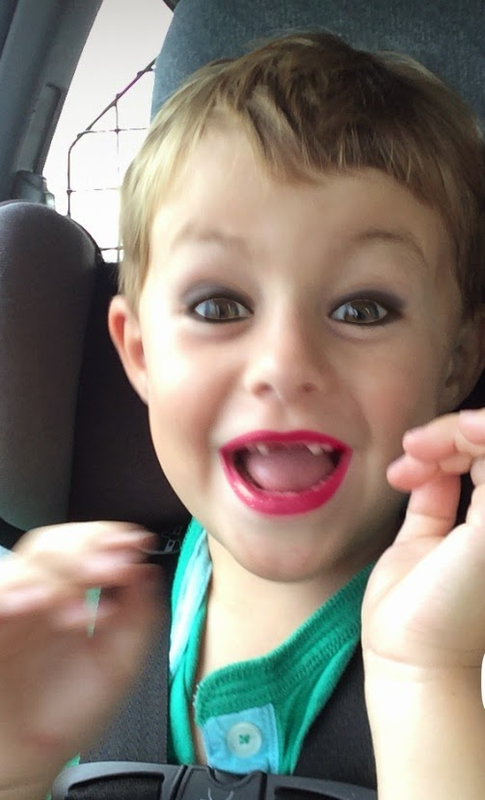 not only is this app completely changing the way that i shop for make-up, and a valuable tool for me......it is also a blast to use with my nieces and the neighborhood kids (okay, okay....i admit that i have now also have some hilarious photos and videos of my boys in make-up too.....can we say future wedding slide show?!). your iron is going to beg you not to try this product, because it will be out of a job when this comes home from the store with you. truth. i now even bring it with me when i travel, because it is quickly becoming something that i can't live without. 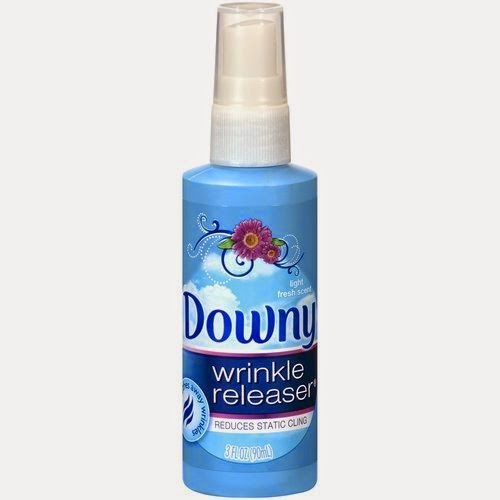 downy wrinkle releaser is a simple spray that, when spritzed over fabric, magically releases all of the wrinkles. no joke. it even works on curtains, throw pillows, sheets...anything. 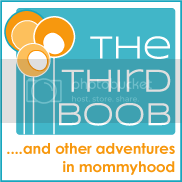 as a busy, single mama this is a 100% must have. now that i have found these, i am certain to be a devoted customer for years to come. packit is a freezable lunch bag that not only keeps my boys lunches cool for hours, but it is big enough to fit a good-sized lunch and a drink and it stays securely closed, even with the way my littles swing their bags around on the way to school. it's a must-have for school, summer camps and even as an adult for the office. are you tired? stressed? dark circles under your eyes? (sounds like me and just about every mommy i know). you need these. eyes are collagen gel pads that are packed with moisture, tons of vitamins and other good things that give you a mini-spa moment in the comfort of your own home. i tried them first after a workout (as you can see above) and, after 20 minutes i not only felt more relaxed and refreshed, but the area under my eyes was noticeably improved. i'm hooked. my current favorite is coconut, but they also carry green tea and ice water, which are fantastic, too. disclaimer: although we received some products for free, many are purchased on our own dime and *all* are products that we love and the opinions are all our own.